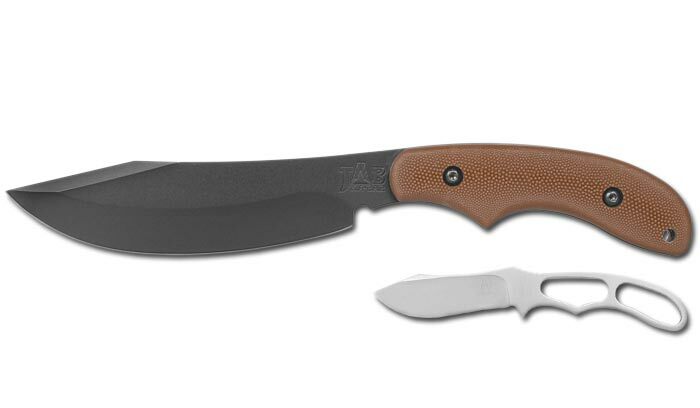 The Potbelly® is a hard working knife that no camper or adventure trekker should be without. It has a 7-1/8" long, 0.25" thick, 1095 Cro-Van blade that is hollow ground to a razor edge with a deep belly and weight forward balance that rivals hatchets in terms of chopping power. With some influence from the kukri and machete, the Potbelly® is best described as what you get if you crossed a scalpel and a sledgehammer. The Potbelly® is a controllable big knife. Its multi-position handle is textured with our proprietary Adventuregrip™ so you can easily control it for tasks as delicate as field dressing if necessary. If you only have room for one knife in your pack and need one that will do it all, the Potbelly® is your knife.